Laura introduced me to Deb Perelman’s Smitten Kitchen blog, which I have been exploring. The recipes all sound great, the photography is gorgeous, and the writing is witty. 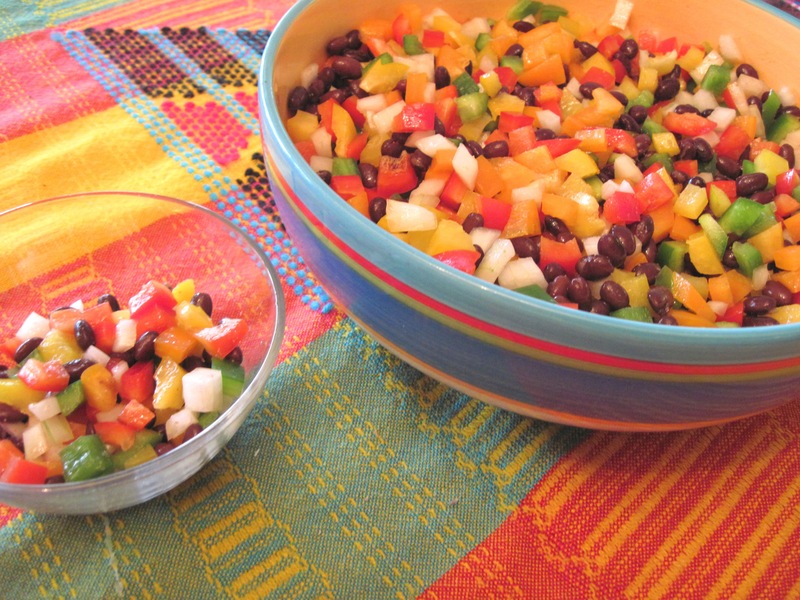 Her black bean salad recipe looks so festive with all of the colorful peppers; I decided to make it for the Johnsons’ New Year’s party. After mixing the salad, I decided it needed a few dashes of Tabasco. I didn’t have any cilantro, but that would definitely be a great addition. 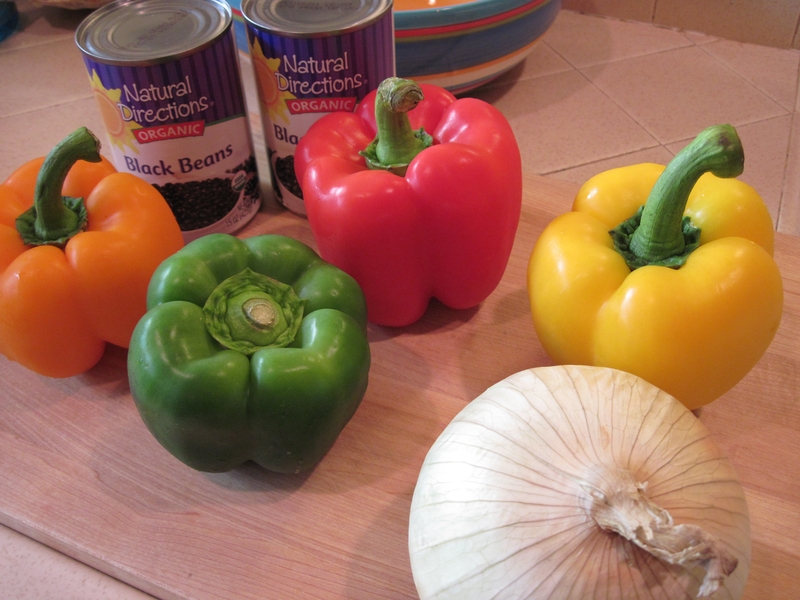 Whisk the dressing ingredients together and toss with the beans, peppers and onions. Adjust seasonings to taste.